The West Village is more than just boutique shopping and beautiful townhouses you can't afford; it's also home to a great, wide-ranging bar scene. Here’s a list of the can't-miss spots, which range from historic dives to luxe cocktail lounges, with frozen tiki drinks, legendary bar burgers, and out-there beer lists in between. 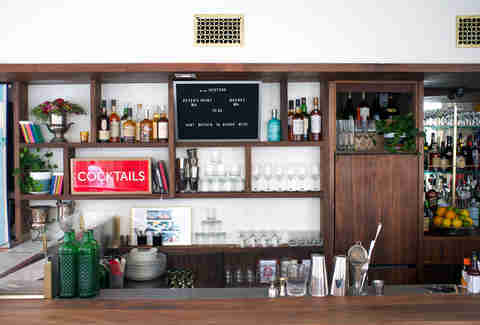 Tucked away in the basement of a nondescript building, this modern speakeasy is tricky to find but shouldn’t be missed. It’s an elegant, candlelit bar that’s great for impressing a date or anytime you want some of the best cocktails in the city. Ask for the bartender’s choice, answer a few questions about your preferences, and you’ll be handed a drink perfectly tailored to your tastes. Blind Tiger is one of the city’s first craft beer bars (it opened in 1995) and remains a standout for those looking to taste beers they’ve never seen before. The bar has 28 different taps, each of them pouring something interesting from small, mostly American breweries like Oxbow, Founders, and Cigar City. The bottle list offers even more options, without a crappy domestic beer in sight. 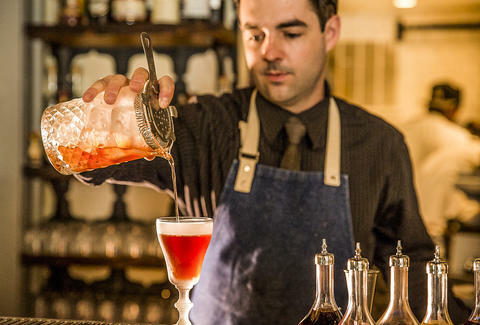 Now over 10 years old, Employees Only is not only one of the city’s most respected cocktail bars, it’s also one of the most popular among members of the restaurant industry. 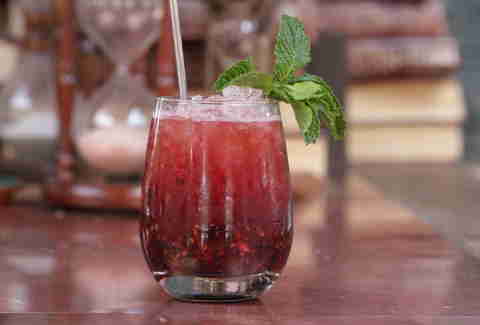 That’s partly to do with the expertly crafted cocktails (like the Provencal, with lavender-infused gin, herbs de Provence-infused vermouth, and Cointreau) and the cozy speakeasy vibe. But it’s also thanks to the fact that the kitchen stays open until 3:30am, serving food like chicken schnitzel, bacon-wrapped lamb chops, and a dry-aged burger to cooks, servers, bartenders, and anyone else in need of a meal after a closing shift or a night out. 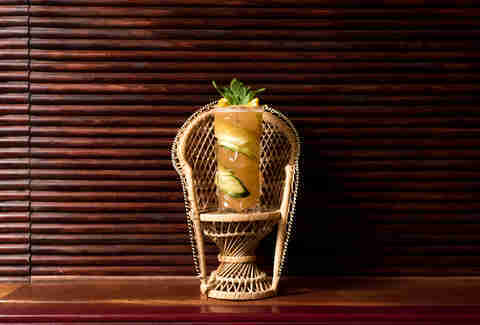 Far out on the western edge of the West Village, overlooking the Hudson River, sits this tiki bar from Ken Friedman, the restaurateur behind restaurants like the Spotted Pig and the Breslin. With a ‘70s beach house vibe, a pool table, and plenty of frozen drinks (go for the spiced colada), you’re generally guaranteed a good time here. The bar snacks, which range from tacos to sloppy joes to the ever-popular pretzel dog, are also excellent. At first glance, Julius looks like any other of New York’s ancient dives: hulking wooden bar, dim lighting, photos of racehorses on the walls. But a scattering of rainbow flags hints that its historical significance does not end with the fact that it’s been in business since 1864. This is where, in 1966 (three years before the Stonewall riots nearby), a group of gay men staged a “sip-in” to fight for their right to legally assemble. 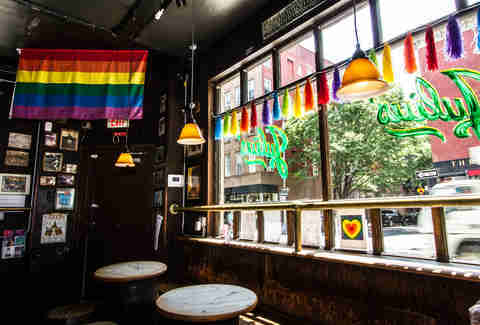 Julius has been a gay bar ever since, and a local favorite for cheap drinks, happy hour deals until 9pm, and a sleeper hit $6 burger. The West Village Five Guys has the unusual distinction of being the only Five Guys in the world with the entrance to a speakeasy hidden at the back. Head back towards the bathrooms, make your way up the stairs, and you’ll find The Garret, a hip, skylit, second-floor cocktail bar. The drinks, like the First Lady, with gin, combier, matcha, lemon, and basil, are inventive and delicious. Plus, after you’ve had a few, you can conveniently end your night with a burger downstairs. Though located in the same building and run by the same team (Acme owner Jon Neidich and seasoned bartender Jim Kearns), these two bars offer two totally different experiences, making it the rare place where you can bar hop without leaving the building. Upstairs, the Happiest Hour has a vaguely tropical, tiki vibe, with a menu of easy-drinking cocktails like the Pineapple Express (pineapple, sage, honey, and your choice of cachaca, rum, or tequila) and a great In-N-Out-style burger. Downstairs, Slowly Shirley is more of an elegant speakeasy, with a 1940s Hollywood theme and a menu of more intricate, occasionally pricey cocktails like the $57 Tahitian Coffee for two (a potent blend of rum, pisco, cold-brew coffee, honey, guava, passion fruit, orange, and lime). 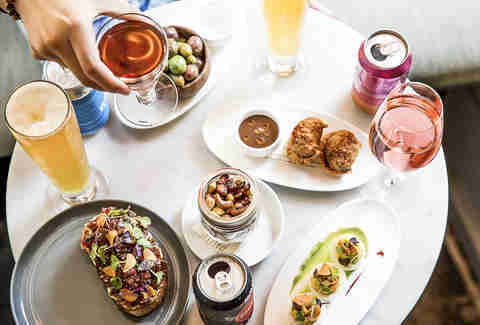 It’s not that Bar Sardine is not good for evening drinking -- it is -- it’s just that you don’t find many bars that open at noon, get great natural light, and serve an all-day menu of snacks like lamb meatballs, baked oysters, and burrata over grilled bread. The cocktails are great, and the menu includes three different bloody marys (BBQ, green, or classic), all the better for getting buzzed in the afternoon. 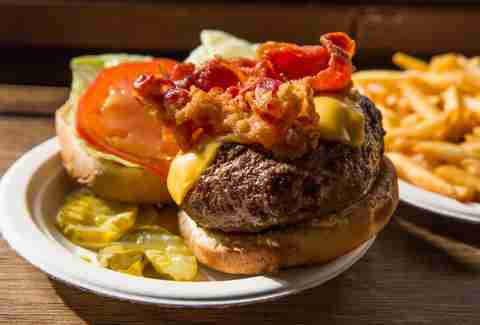 Corner Bistro’s thick, juicy Bistro Burger topped with American cheese and a tangle of crisp bacon is in the pantheon of great New York burgers. It also goes perfectly with a cold, $3 mug of beer at the well-worn old tavern, which regularly attracts long lines. 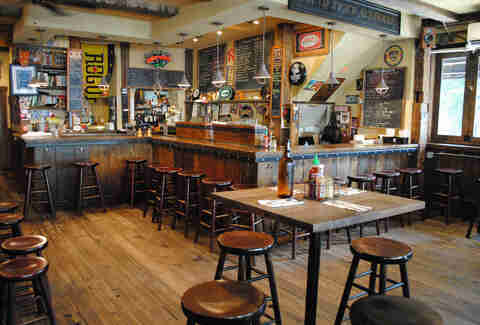 Plan to go for lunch or early on a weekday if you want to snag a booth without too much of a wait. The sibling bar to neighborhood Italian favorite Dell’anima is relaxed and cozy, with a great list of organic, biodynamic, and otherwise sustainable wines, plus cheese, charcuterie, and some other small plates. The options are diverse and often interesting, ranging from funky orange wines to lesser-known bottles from Georgia (the country) and Croatia -- and there are cocktails too if that’s more your speed. The Otheroom is one of those bars that’s just right for a first date or a 100th date. It’s dark, intimate, and relatively quiet, with plenty of cozy corners and tiny candlelit tables. But it’s also laid-back -- it only serves beer and wine, so you’re unlikely to encounter throngs of people downing shots, or conversely, waiting for fancy $20 cocktails. There aren’t too many Scottish establishments in New York, but Highlands more than makes up for it. The bar serves Scotch eggs and mushy peas and even haggis if you dare (the traditional version is a mixture of lamb meat, offal, and oatmeal, stuffed into a sheep’s stomach; this one skips the stomach and adds beef liver). But more importantly, there’s an extensive collection of Scotch behind the bar. 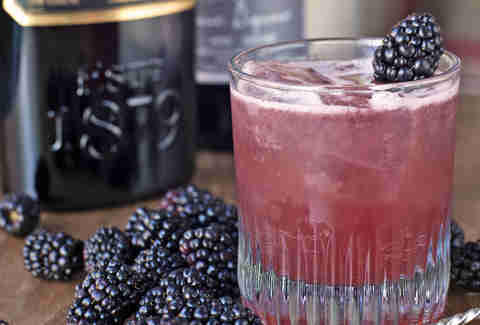 Aficionados can order it by the flight, but it also makes its way into cocktails like the Blackberry Tartan, with blackberry compote, lemon, Nux Alpina, and walnut bitters. The food at this low-key neighborhood bar sounds like your average greasy bar fare: chili dogs, quesadillas, burgers, and tater tots. 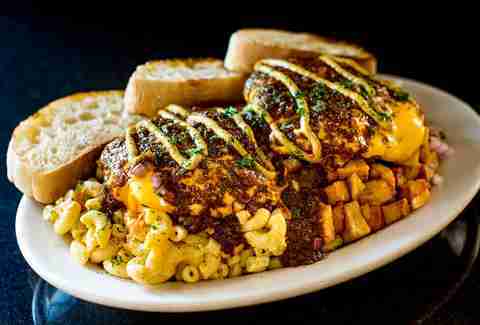 But it’s actually some of the best versions of greasy bar food you’ll find anywhere. Everything from the potato chips to the flour tortillas is house-made, the burger is dry-aged, and the tater tots are perfectly crispy and golden -- plus, the wine, beer, and cocktail selection is pretty solid, too. 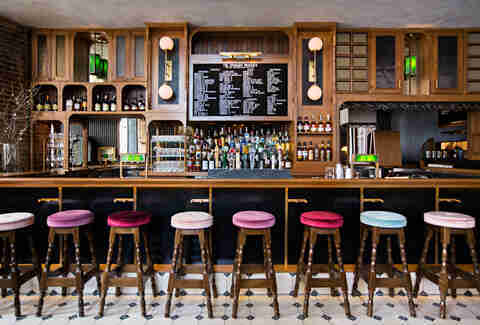 This sweet little spot is like a fancy cocktail bar combined with a charming French bistro. 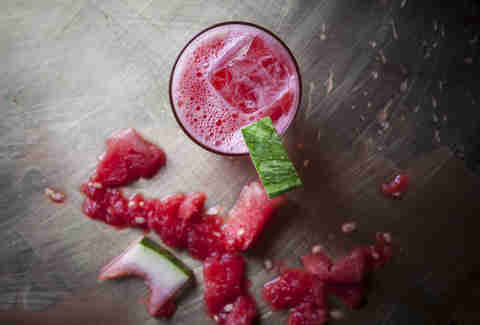 The upscale drink menu comes from Head Bartender James Lombardino -- and includes things like the Zona Sul, made with hibiscus-infused cachaca, Velvet Falernum, orgeat, lime, almond, and absinthe. 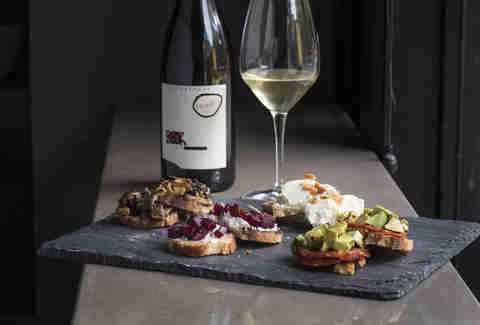 And the food, which ranges from house-made charcuterie to tuna tartare crostini, is the sort of stuff you could imagine finding at a warm, cramped little restaurant in Paris. There are about 100 different whiskeys behind the bar at this stylish new gastropub, which, despite the name, takes its cues from old Irish taverns. And unlike at an actual old Irish tavern, the ways that you can drink that whiskey range well beyond neat or on the rocks. The menu has a whole section devoted to whiskey cocktails, from a rosemary Manhattan to a “Rye Tai” (that’s a mai tai made with rye). Every neighborhood needs a good dive, the kind with dirt-cheap drinks, seasoned bartenders, and a thoroughly graffitied bathroom. In the West Village, Johnny’s is it. It’s a small, narrow space, plastered with bumper stickers and drawings of Burt Reynolds, and often crowded with a mix of old-timers and 20-somethings. But that’s all part of the experience, as is the usually questionable shot of the day. Marguerite Preston is a writer and editor based in Brooklyn. She prefers tequila over whiskey, wine over beer, and frozen drinks over everything else.